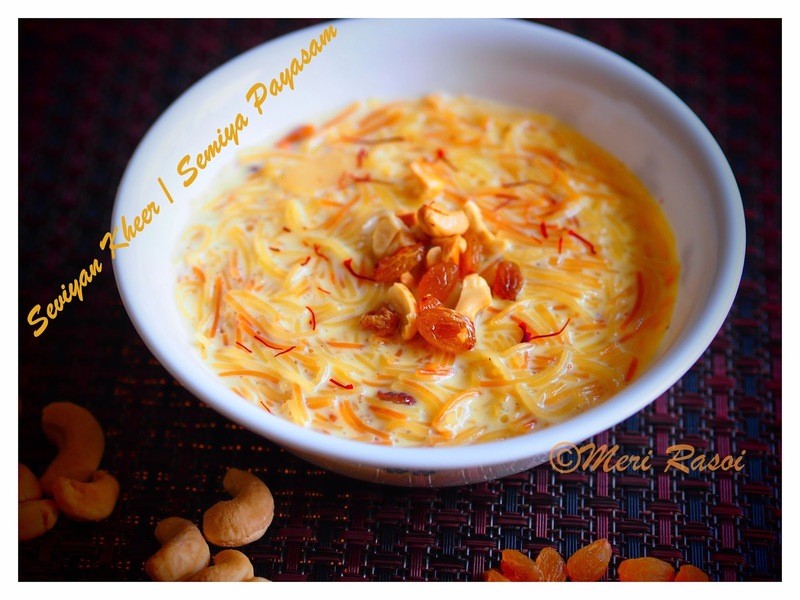 Vermicelli Kheer is one of the most common and most popular pudding prepared in Indian households and is loved by all. It is easy to prepare and can be served hot or cold. 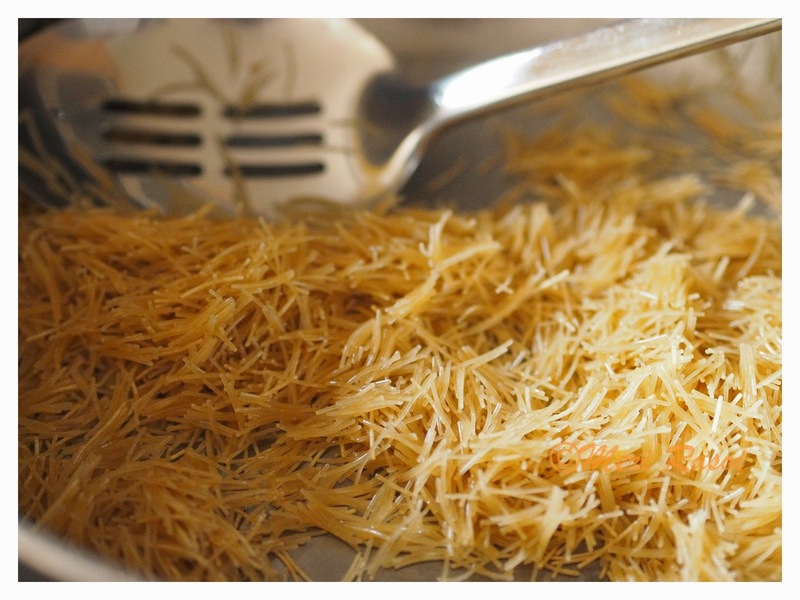 Vermicelli is roasted in ghee or clarified butter and then slowly cooked in milk. 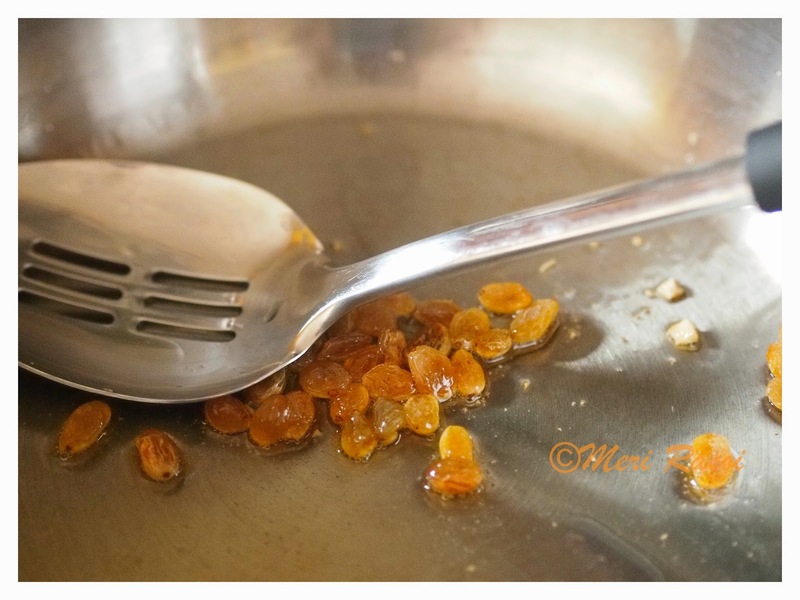 It is either sweetened using sugar , jaggery or as in my case, sweetened using condensed milk. Finally it is garnished with nuts and raisins making it a very rich dessert. 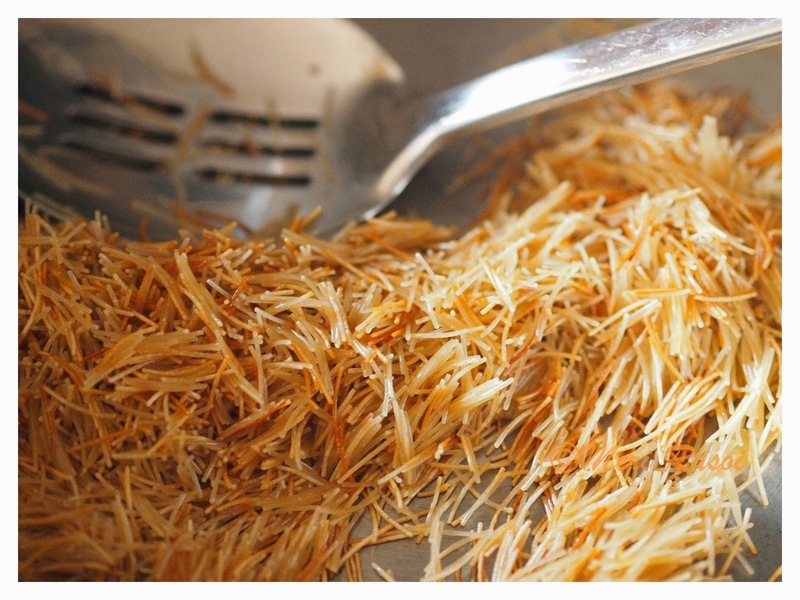 In the same pan , roast the vermicelli. 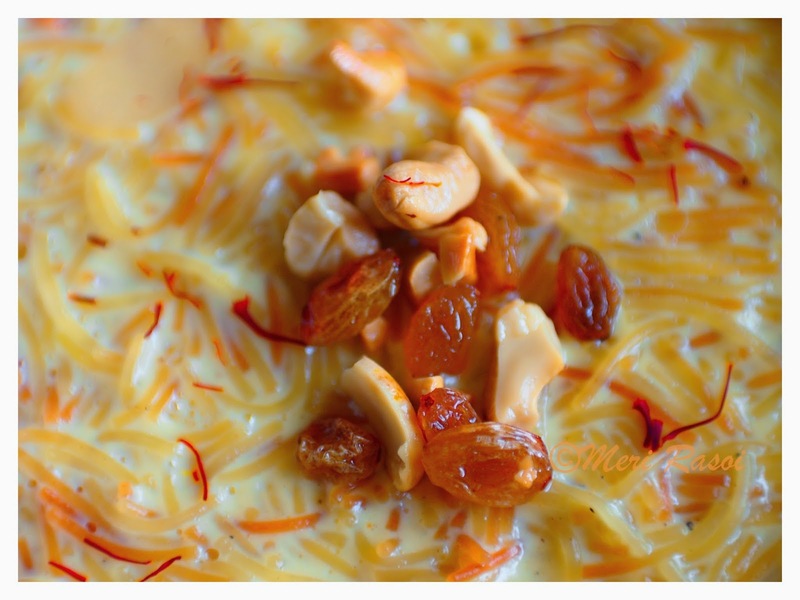 Add the hot milk mixture to the roasted vermicelli and start cooking in low-medium heat stirring continuously. 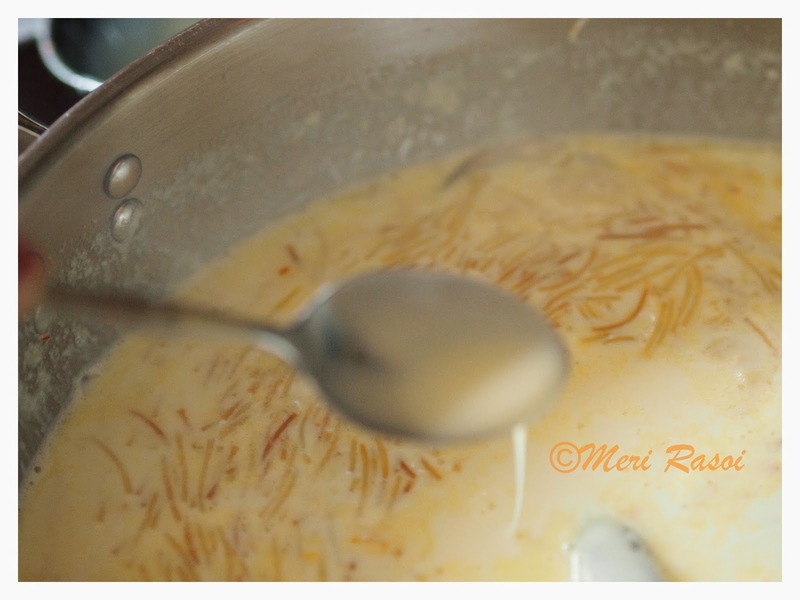 Once the vermicelli gets cooked, add in the condensed milk and mix well. Simmer for 10 minutes. 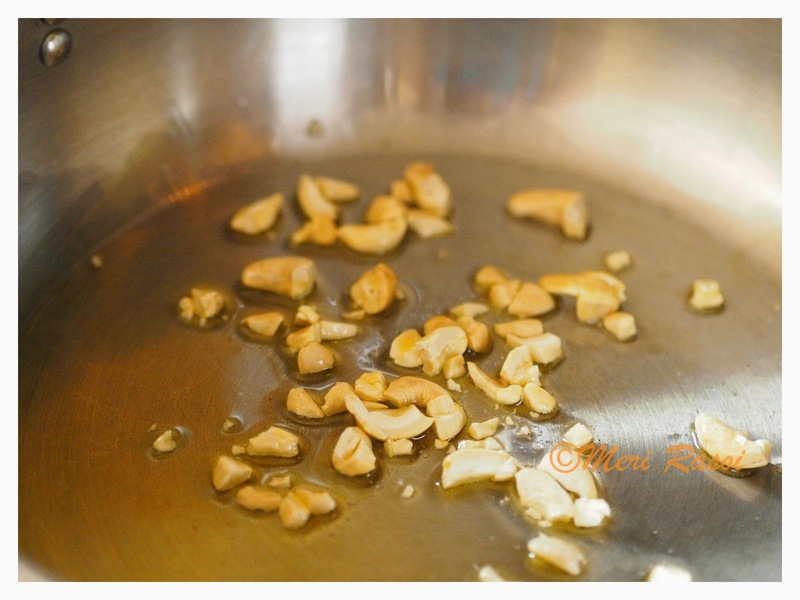 Add in the cardamom powder and the fried cashews and raisins. 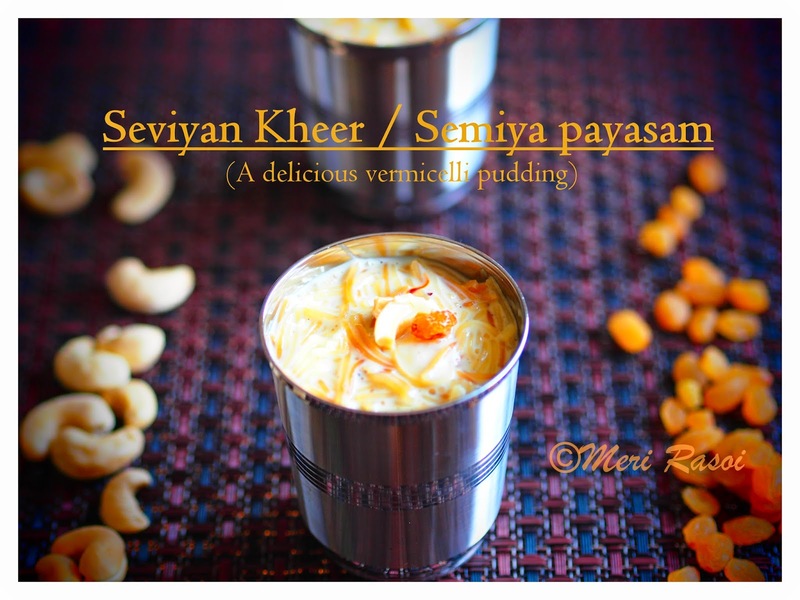 Enjoy seviyan kheer hot, cold or at room temperature. The quantity of condensed milk can be adjusted according to taste. 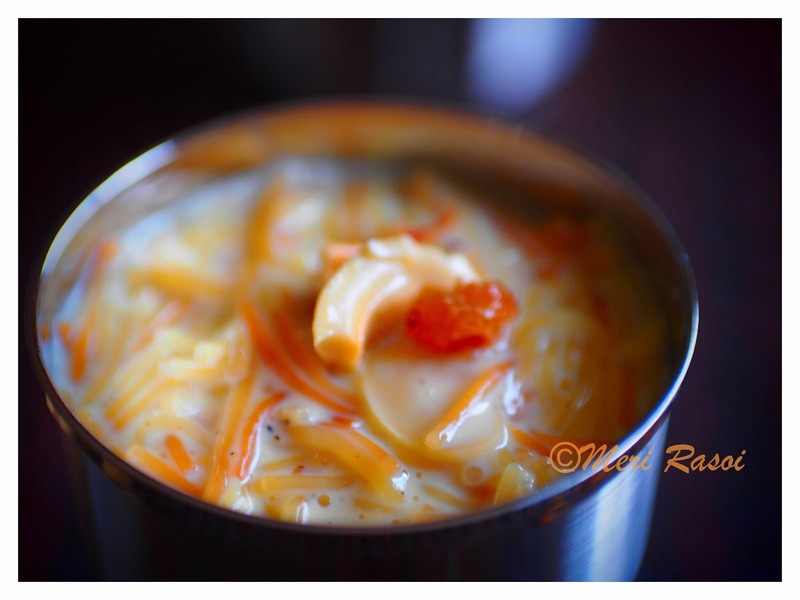 This kheer tastes best with full fat milk. I however made it with low fat milk and it tasted equally good. You can increase the amount of raisins and nuts as per your taste. 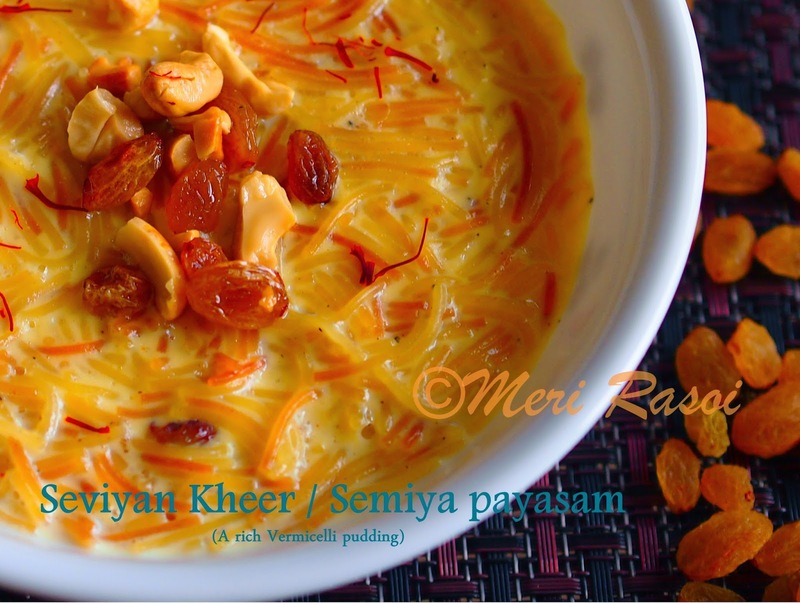 When the Kheer sits for sometime, the vermicelli will absorb milk making the kheer thick. 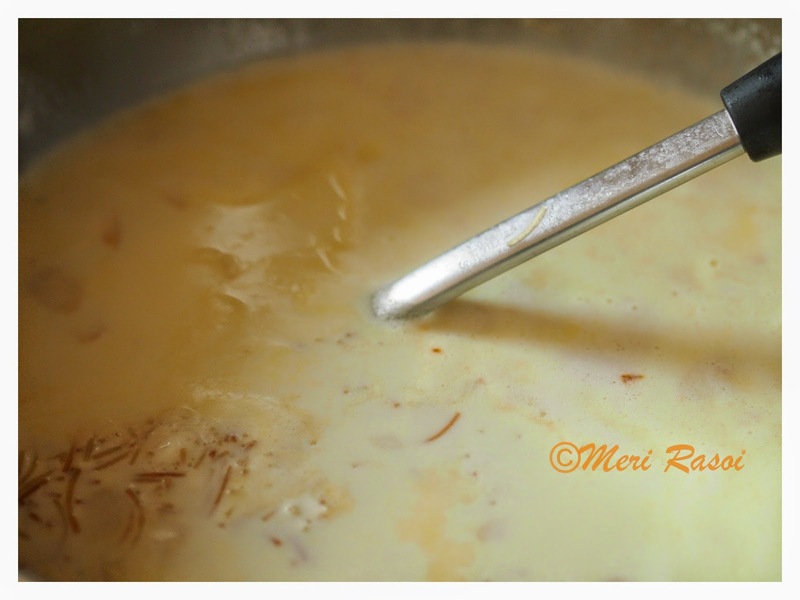 Adjust the consistency before serving by adding some warm milk and mix well. It looks very rich in appearance, with superb clicked images. I am very sure this must be as well scrumptious in taste. I prepared this recipe a few days ago, but the mistake I did is added vermicelli is good quantity, that resulted in very thick and heavy dish. As while preparing, I was in two minds as was planning simple one without milk.. Yours is the perfect one. Full marks. My all time fav. Gosh! so inviting with those vibrant flavors and colors. 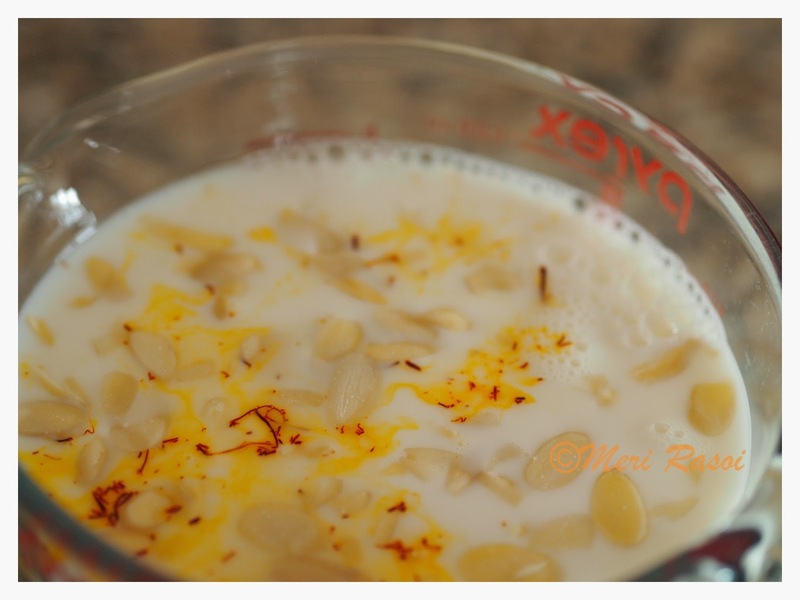 Awesome.. My mouth is watering, Actually kheers and payasams are my fav... And this looks so beautiful. Wonderful clicks and presentation. Fantastic! I love discovering new dishes!